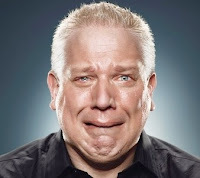 The Urban Politico: Today In Racism: Glenn Beck Says Obama Administration Like "Planet of the Apes!" Today In Racism: Glenn Beck Says Obama Administration Like "Planet of the Apes!" Joan Walsh over at Salon.com breaks down why this is oh so racist beyond the initial feeling of "OMG WTF THAT IS TOTALLY UBER RACIST" and explains that this is totally racist and there is a specific reason why he is making this particular reference.